Order confidently with our 100% Guarantee! We are experts in printing photos on canvas. 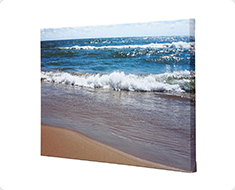 Upload your favorite image and let us create a custom canvas wrap or framed canvas prints. We can also restore your vintage photos from the past or create a stunning canvas collage from a collection of your favorite photos. Digital Photos on Canvas has many years of experience in photographic printing, picture framing, graphics display and photos to canvas. Printing photos on canvas is a unique way of displaying one’s favorite images and presents a great decorating alternative to traditional framed pictures. 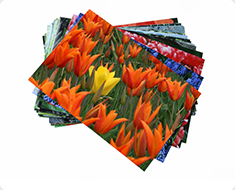 Digital Photos on Canvas has carefully perfected the technique of printing photos on canvas. We use only the highest quality canvas and ultra-chrome archival ink to assure your print to canvas will last for years to come. These materials and the use of the latest lab technology insure a sharp print, natural color, and product stability. Our skilled technicians will precisely adjust resolution, saturation and contrast in committing each print to canvas. Our technicians can retouch your photo if desired. 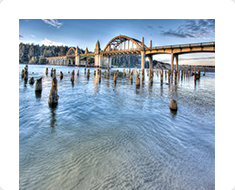 All of our Photos on Canvas are printed with high quality Epson wide format ink jet printers. Our Canvas’s are all coated with a semi gloss varnish to help extend their life and add add saturation and brilliance to every image. A complete range of standard and custom sizes are also available. Most of our clients choose our popular “decorative wrap” option. The image will be wrapped around the edge of the streater bar and your canvas is ready to hang right on the wall. Our “ museum wrap” provides a perfect option when when subject matter is too close to the edge of the image. You can hang the museum wrap as it is or finish it off with a frame of your choice.s. Our all of stretched canvas arrive with a wire hanger on the back for easy wall mounting of your Photos on Canvas. 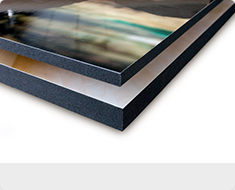 We also offer a Masonite mount which allows you to insert your canvas print into a standard picture frame. We also offer 7 high quality wood frames if you prefer to have us do your framing. It’s easy to turn your favorite memories into works of art by printing photos on canvas. Simply upload your images, pick mounting options and finished sizes, and-–with a few easy clicks—order your Photos on Canvas. My portrait arrived last evening and I could not be more thrilled! It is just what I wanted and will make a lovely addition to our other two currently on the wall! I received my 'bear on ice' prints and they are just "BEAUTIFUL". They 'AGAIN' came out just as 'NICELY' as the previous order and probably a little better. I AM VERY HAPPY WITH THEM. I love looking at them every morning when I get up. I LOOK FORWARD IN GETTING OTHER PRINTS OR REPRINTS DONE BY YOU. Absolutely loved the result of my photo transformed to a beautiful painterly effect on canvas! I had direct communication with the artist upon receipt of my order to the final product. This collaboration between photographer and artist resulted in a beautiful image worthy of hanging in my home. My second photo to canvas is currently in process and can't wait till it arrives! I highly recommend Digital Photo On Canvas! The canvas print of my daughter, Jackie, arrived today. It is gorgeous, and the framing and canvas are clearly of very high quality. I love it, and wanted to thank you once again for service above and beyond the call of duty.